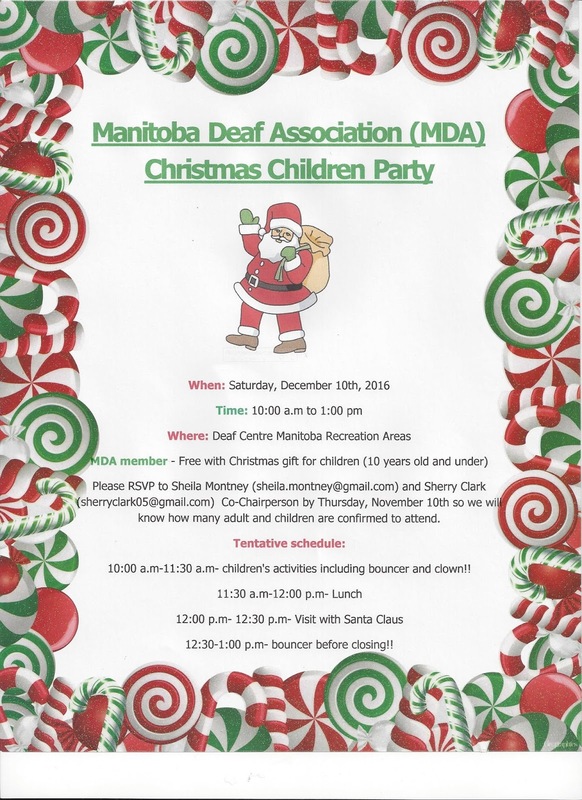 Deaf Centre Manitoba Inc.: Friendly reminder- Manitoba Deaf Association (MDA) Christmas Children Party- Deadline to sign up- November 10th!! Friendly reminder- Manitoba Deaf Association (MDA) Christmas Children Party- Deadline to sign up- November 10th!! DEADLINE TO RSVP TO SHEILA OR SHERRY- THURSDAY, NOVEMBER 10TH!! !